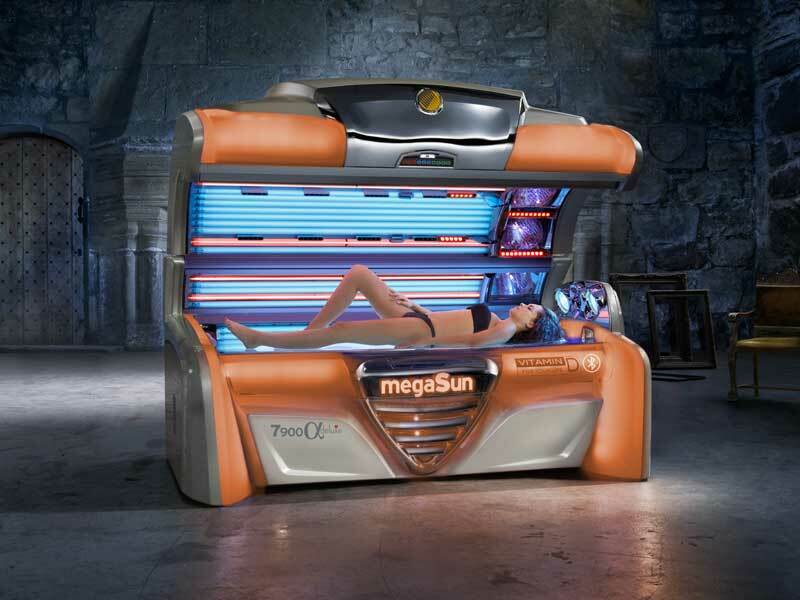 The user-friendly dis­play preSelec­tion on the out­side of the sol­arium´s can­opy provides the pos­sib­il­ity to choose an in­di­vidual set­ting prior to every tan­ning ses­sion. The in­tel­li­gent tan­ning sys­tem in­tel­liSun ap­peals per­fectly to the high de­mands and wishes of the cus­tom­ers. So simple is tan­ning nowadays! 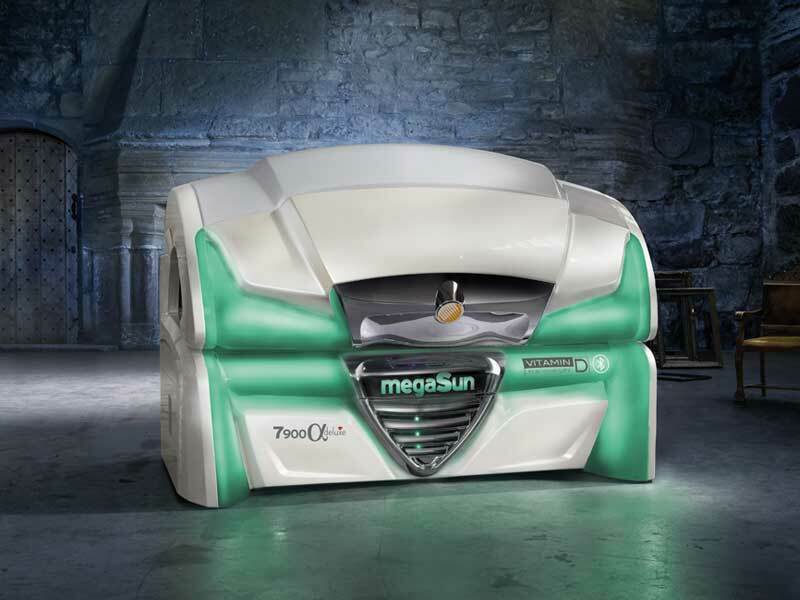 The six p2 tubes that are in the megaSun­ 7900 alpha de­luxe provide the EXTRA amount of UVB. 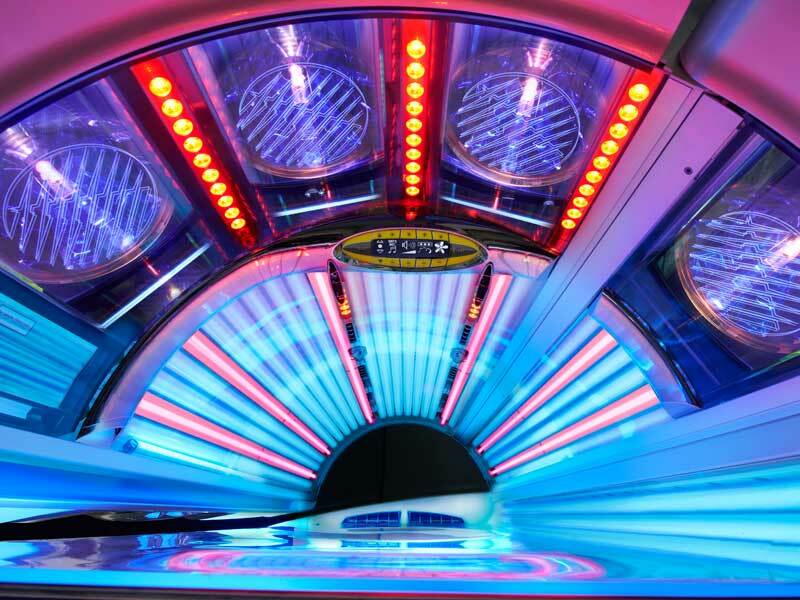 A per­fect tan, es­sen­tial bio-pos­it­ive ef­fects caused by Vit­amin D pro­duc­tion and the safe feel­ing of skin-gentle tan­ning are in­cluded. Forty power­ful Ruby-Col­la­gen-Booster LED's bring an in­crease of hy­dra­tion as well as re­vital­iz­a­tion, re­lax­a­tion and de­tox­i­fic­a­tion of the skin. A silky smooth skin is guar­an­teed. You want to have Bluetooth? No prob­lem at all. With only one click, the con­nec­tion will be ready and you are able to listen to your own music from your smart­phone. Feel the beat! Pure Emo­tion! color­Mo­tion, al­ways takes care of the right mood. Choose your favourite colour with the novel user-friendly re­mote con­trol. Touch it – love it! 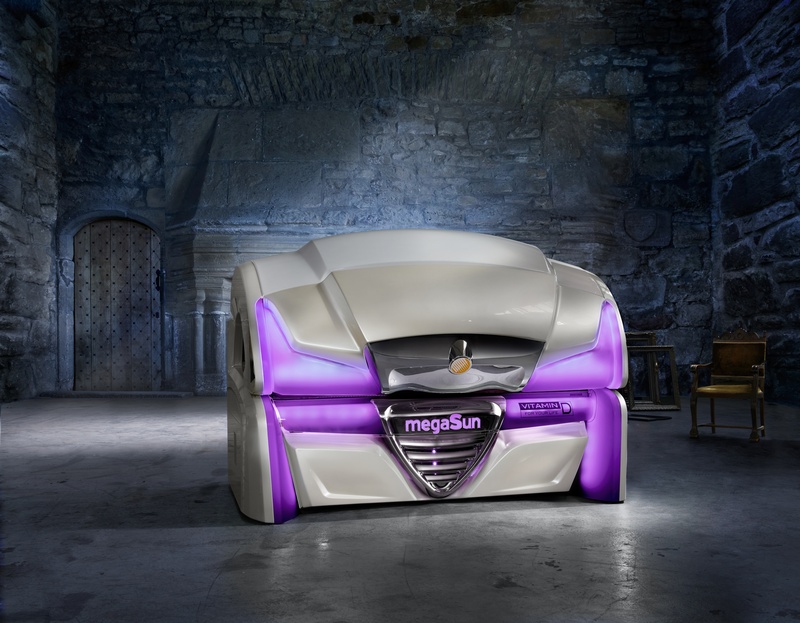 If you must always have the best, the megaSun 7900 alpha deluxe is the only option.